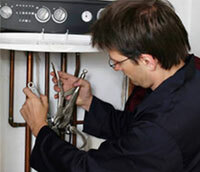 * We also offer Limited Scope Assessments for engineers that do not work on live gas supplies. Refresher training is optional for candidates working towards the core commercial qualification. Example of a typical Commercial Re-assessment is - approximate duration of 5 days and cost of: training and core £410, modules £100.00 each & certification fee £65.00. All + VAT.